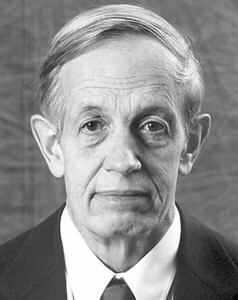 John Forbes Nash, Jr. is a mathematician who did his work on differential geometry and game theory. Since he was born in a family that loved books, John Nash became interested in the learning process. He attended Bluefield schools and his parents’ fondness for books provided him with an encyclopedia that he would read frequently in his childhood. His time as a student revolved around mathematics, chemistry, electrical studies and experimentation. He would read characteristic books like the Men of Mathematics and prove integer theorems. Form 1945 to 1948, Nash studied at the Pittsburg Carnegie Institute of Technology with the ambition of becoming an electrical engineer, much like his father. Nevertheless, his love for mathematics overpowered him with considerable interest in subjects like Diophantine equations, number theory, relativity theory and quantum mechanics. During this period, he became progressively attached to ‘negotiation problems’ and came across the uncompleted works of John von Neumann and Morgenstern on game theory and economic behaviors. Hence, he participated in the game theory groups. He also took an elective course on international economics that led him to the ideas and “The Bargaining Problem,” which was a stepping stone for Nash. Forty-four years later, the same thesis earned him a Nobel Prize in Economics, which he shared with Reinhard Selten and John Harsanyi (game theorists). In addition, he published several articles entitled Equilibrium Points in N-person Games (1950), Econometrica about The Bargaining problem (April 1950), and Two-person Cooperative Games (1953). He worked at RAND cooperation in Santa Monica in the summer of 1950 and also taught calculus at Princeton from 1950-1951. At the same time, he proved the Nash embedding theorem and became science assistant at MIT Massachusetts. While at MIT, Nash met his future wife – Alicia Lopez-Harrison – a math student from El Salvador whom he married in 1957. They had a son soon after and named him John Charles Martin (born 1959). However, John started experiencing signs of mental illness in 1958 and in April of 1959, he was diagnosed with paranoid schizophrenia. He routinely spent time in and out of hospitals and yet was able to hold a research role at Brandeis University. In between the year 1945 and 1996, Nash has published a series of 23 scientific papers. In 1978, he was bestowed with the John Von Neumann Theory Prize for discovery of non-cooperative equilibriums. Later, in December 2001, a film dubbed A Beautiful Mind that portrayed Nash’s life was released, but it was criticized to be inaccurate and PBS released a documentary known as A Brilliant Madness that portrayed his life more precisely.